Many individuals aged 50 and over suffer from impaired vision because of age-related macular degeneration (AMD). This occurs when a part of your retina that’s essential in your central vision,called the macula, gets damaged or deteriorates over time. Without immediate and proper management, AMD can lead to blindness. As March marks AMD Awareness Month, your eye center discusses what you should know about this vision problem. AMD has two major classifications: dry and wet. Your eye doctor knows you have the dry form, which is the most common one, when they see drusen in your macula. Drusen refers to the yellow-colored waste deposits that usually accumulate in your retina. A few drusen may not cause changes to your vision. However, as they grow in size or in number, you may see things as distorted. Dimming of your vision may also occur. Meanwhile, wet AMD is characterized by the growth of abnormal blood vessels around your macula. Although these blood vessels are new, your eye doctor emphasizes that they are fragile in nature. They rupture easily, which results in the leaking of blood and fluids into your retina. When this happens, you may experience vision problems, such as seeing straight lines as squiggly ones. Blind spots, loss of central vision and total and permanent blindness are often linked to this form of AMD as well. No cure for AMD has been found to date. That said, there are a number of treatment methods available that can help slow down AMD progression and save your eyesight. In particular, certain medications can help control abnormal blood vessel growth. They also reduce fluid leaks into your retina. Laser surgery is another possible option to stop blood leaks and prevent abnormal blood vessels from further growing. Since AMD does not usually have symptoms in its early phase, it’s important that you visit your optometrist for a comprehensive eye exam regularly. You should also make it a habit to eat eye-healthy foods, such as green, leafy vegetables, citrus fruits and fish. 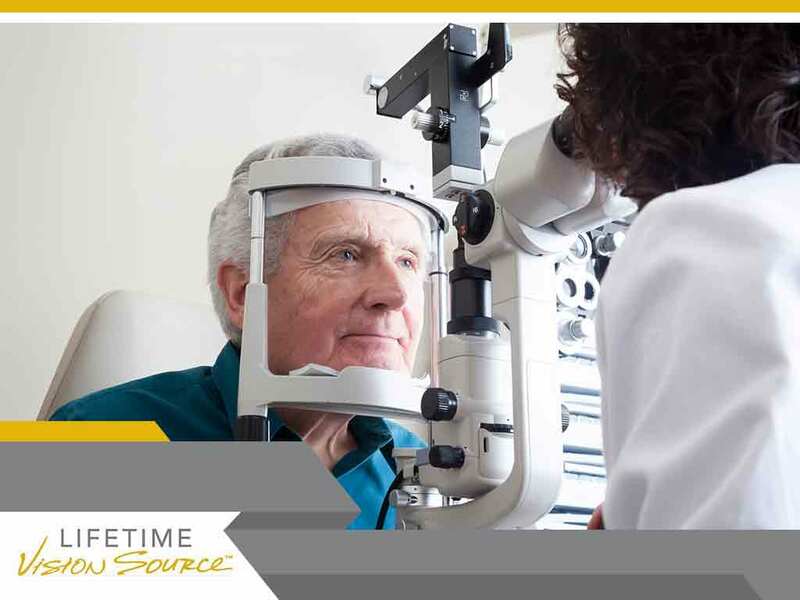 For premier eye care, turn to Lifetime Vision Source. Apart from AMD management, we also provide pediatric eye exams, dry eye treatment and more. Call us at (701) 864-3777 to schedule a visit. We serve Jamestown and nearby ND areas.